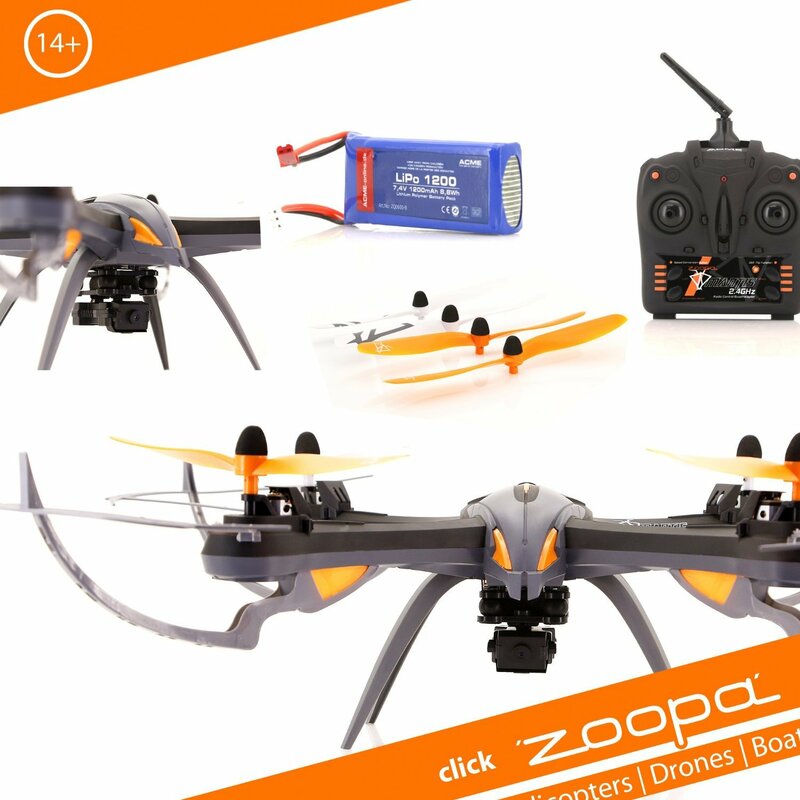 Home › Toys › Zoopa Q 600 Mantis - 6-Axis Gyro Rc Quadcopter Drone With Integrated Hd Camer..
Zoopa Q 600 Mantis - 6-Axis Gyro Rc Quadcopter Drone With Integrated Hd Camer..
With three flight modes (controlling speed and agility), the "orientationmode" (beginner-friendly) and the supercool, exceptional design, the zoopa Q600 Mantis is the ultimate racing machine for in- and outdoor use. Fly inbeginner mode for relaxed and electronic supported control. Flips, looping'sand action packed flights without limitations are enabled in the professionalmode. Switchable LEDs and orange colored rotors support the orientation.Equipped with the FlyCamOne Nano M HD camera system + 4GB Micro SD Card, youare ready for aerial videos and photos. The controller is already prepared forcamera functions. The integrated 6-Axis-Gyro 2.0 Technology guarantees perfectflying on every skill level.